The new endosopic system provides superior image quality in terms of sharpness and brightness to gather optimal visual information for diagnostic and therapeutic procedures in daily clinical practice. 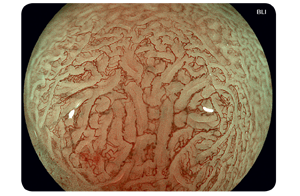 High-intensity contrast imaging with BLI allows superior visualisation of superficial vascular and mucosal patterns. Focussing on the characteristics of short wavelength absorption of haemoglobin (at 410nm) combined with specific white light spectral colours results in improved and accurate contrast imaging. Compared to White Light imaging, LCI enhances differences in the red colour spectrum by advanced post-processing steps. The increased contrast in red colour leads to improved detection of inflammation and accurate delineation. 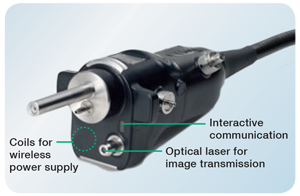 The One-Step Connector can be plugged in easily, and the 700 series endoscopes are the first to incorporate an integrated wireless power supply that provides high speed transmission of data. The new design helps to simplify the cleaning process and also reduces the potential for accidental damage. In close cooperation with leading endoscopists, Fujifilm has renewed the layout and size of the components of the control portion and repositioned the angulation knobs to increase accessibility from the grip. The new G7 grip is designed to have an easy and comfortable feel that optimises performance and minimises stress during clinical procedures. CMOS technology supports 60 frames progressive scanning technology where complete images are processed, rather than the half-frames processed when using the interlaced scanning method. The result is outstanding high-resolution image quality and smooth moving images with dramatically reduced blurring. The easy-to-control Step Zoom function supports efficient work of the optical zoom with a simple press of a button. 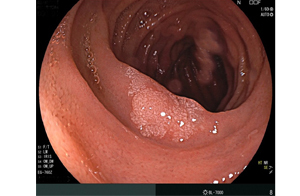 Users are able to choose between the 2-, 3- or 5-step modes or continuous zoom mode to meet individual needs and adjust to the preferred setting for the endoscopic procedure. 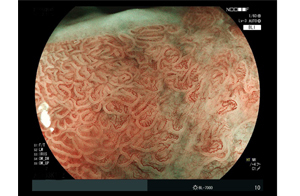 Fujifilm‘s unique Multi Zoom serves with a maximum optical magnification of 135 x to provide a highly detailed image of the mucosal surface and vascular patterns. 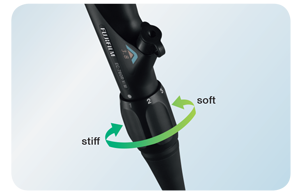 Fujifilm’s renowned ColoAssist has been optimised for the ELUXEO™ 700 series colonoscopes and now includes the Flexibility Adjuster for easier insertion in addition to advanced force transmission and adaptive bending. 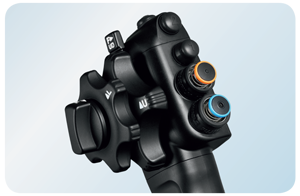 ColoAssist Adjust has been specifically developed for the 700 series colonoscopes. It features innovative advanced force transmission and adaptive bending, as well as different levels of stiffness for improved manoeuvrability and more patient comfort. EC-760R and EC-760ZP are equipped with ColoAssist Adjust. The stiffness of the flexible portion of the scope can be easily adjusted according to your preference. 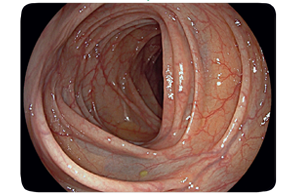 This is helpful when inserting the scope into segments such as the sigmoid colon and the transverse colon where the endoscope can more smoothly follow the intestinal tract. 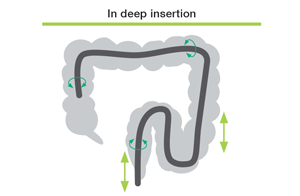 The end of the bending section is soft, allowing the scope to follow the natural contours of the intestinal tract. 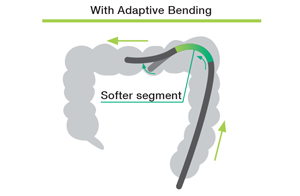 The flexible bending section has been designed to return more easily to its straight form after passing through the tight curves of the colon.